This welcoming villa has two separate living areas and is pleasantly furnished. To the rear of the villa are the kitchen, dining area and family room, which lead out to the screened pool with waterfall feature. 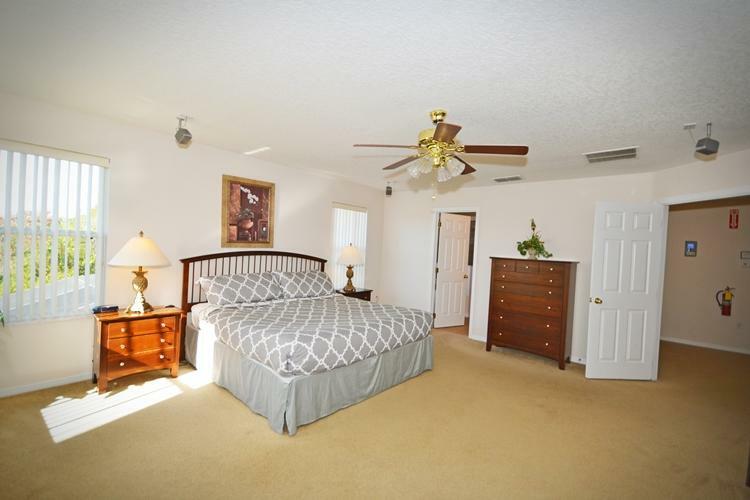 Upstairs, double doors open into the master bedroom complete with ensuite bathroom. The second master bedroom also has it`s own bathroom. In addition to this there are two twin bedrooms which share a bathroom. All bedrooms have their own televisions. Windwood Bay is a short drive from large Publix supermarkets at Reunion and Champions Gate which also have a wide choice of restaurants and takeouts. Just four miles away is the new Posner Park shopping area with JC Penny, Target, Best Buy, Staples, Michaels, Dicks Sporting Goods and many more. 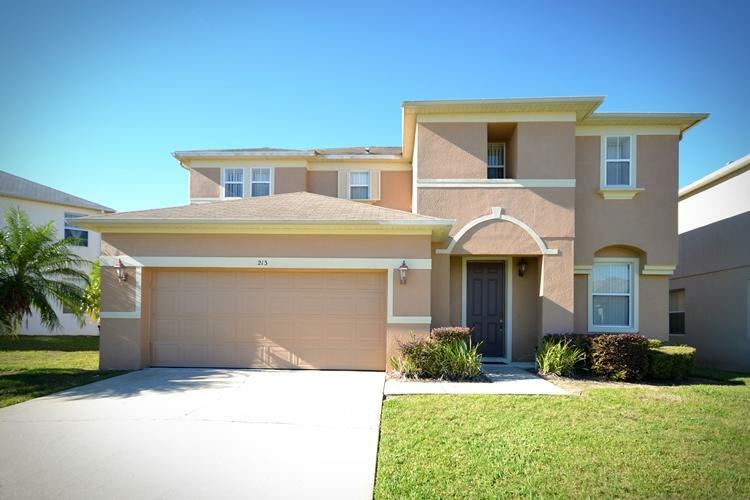 Windwood Bay is a quiet and peaceful community just minutes from Interstate 4. There is a large Publix supermarket near by at Champions Gate along with a wide choice of restaurants and takeouts. Just two miles away is the new Posner Park shopping area with JC Penney, Target, Best Buy, Staples, Michaels, Dicks Sporting Goods and many more. Windwood Bay is located well for Disney, Universal, Sea World and other theme parks and the new Legoland park is a short 20 minute drive to the south. Close by is Champions Gate and Reunion 18 hole golf courses which are highly regarded and is open to the public year round. 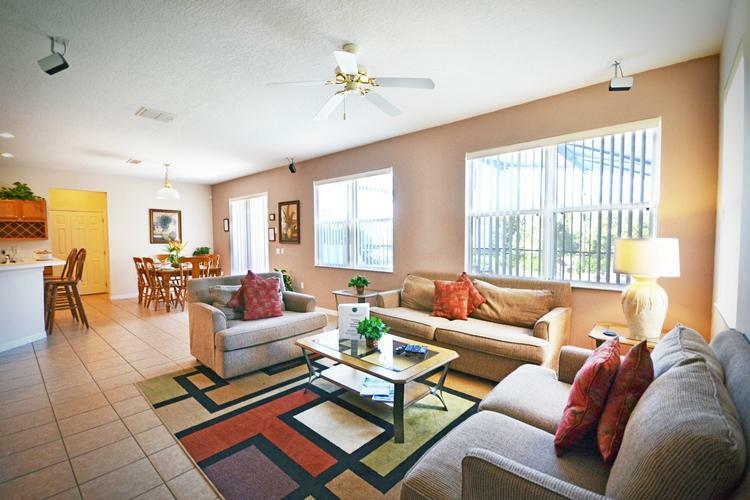 This spacious 2 story villa vacation rental home in Florida is located in popular Windwood Bay. at Champions Gate.